Today, MeFeedia has released an interesting piece of information. By using data from more than 33 000 different publishers, they revealed what appears to be a pretty significant growth of HTML5 playback. 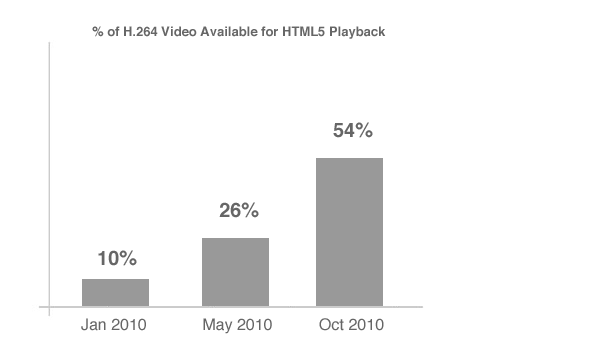 According to report, numbers have doubled in the last 5 months and as of October 2010, 54% of H.264 videos are now available for playback in HTML5. Either I am into web browsers way too much or it’s actually an implementation of Opera Software logo. Here you your chance to ask Opera team anything. Just head over to Reddit and ask them anything about Opera… OMG, anything? Here is a sneak peak of what is coming from Opera Software. So far, it looks more like implementation of Widgets. Let’s just wait for an actual release before making any final judgments. 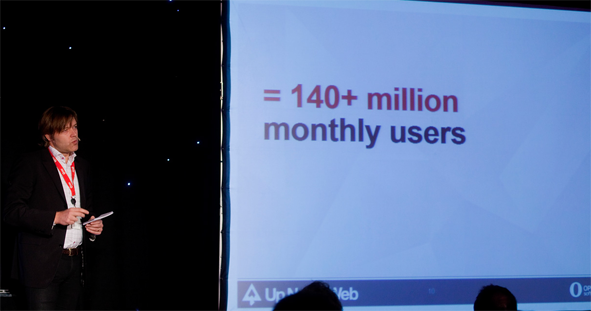 Today was a big day for Opera Software, as company held its Up North Web event. – 20 million users around the world use Opera products on connected devices other than phones and computers, e.g. television sets. – Opera welcomes 2 new users every second! If you have missed today’s Up North Web event, here is your chance to see its webcast right now. As well as some photos.